If a teen is passionate about reading and actively reads books, shouldn’t he or she enjoy any book whether it be for school or recreation? What is the difference with reading for school and reading for “fun?” What makes a teen engage in reading books in the first place? The aforementioned questions are some that I will attempt to investigate in my evaluation of school reading versus recreational reading. School reading consists of reading any book that is required by the school curriculum, typically for English class but sometimes for other subjects as well. Recreational reading is when teens choose to read books in their own free time, there is no requirement for this type of reading. Generally, I believe teens prefer recreational reading to school reading for two distinct purposes—freedom of choice and personal interest. For the most part, teens enjoy having independence, and this desire for individuality also plays a role when it comes to choosing what book to read. I see reading as an opportunity to absorb more knowledge, learn about new perspectives, and engage in a creative realms. 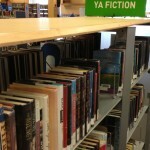 For recreational reading, teens have the freedom to choose which book they would like to delve deeper into. In this case, reading becomes more of an option and an opportunity to partake in intriguing new subjects. 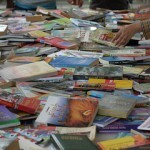 However, when it comes to school reading- the books are already selected. Thus, the students no longer have the freedom of choice when it comes to selecting which book to read. School reading is mandatory, whereas recreational reading is entirely discretionary. Students tend to engage in reading books that they are most interested in. 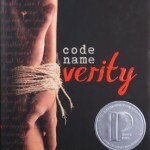 With a vast range of genres and literary styles, the reading possibilities for young adults are endless! The plethora of reading options makes recreational reading that much more exciting. Some students enjoy reading only action packed books, others enjoy romantic novels, while others like to read poetry. When it comes to recreational reading students can choose to read whatever interests them. Additionally, books selected as a part of the school curriculum typically involve a series of tests and quizzes. For the most part, teens do not enjoy taking tests and quizzes. Thus, applying a test or a quiz to a selected book, tends to divert the readers from the idea of reading for pleasure and makes them focus on the idea of studying the book instead. 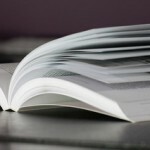 Although one might argue that tests and quizzes help the reader develop a deeper understanding of the book and its purpose, I think that linking a school book with tests makes it easier for students to become less focused on enjoying the book and more caught up with memorizing facts and quotes that will help them score higher on the test. On the other hand, when it comes to recreational reading there are absolutely no tests and quizzes involved, there is no deadline to finish reading the book by, and there are no expectations. For these reasons, recreational reading seems to be more appealing to teens as it provides them with more freedom to choose the books they are interested in reading and read the books at their own pace. Eliminating the expectations makes reading more of a pleasurable opportunity rather than a daunting task. Although there are various differences between school reading and recreational reading, I do believe that some parallels exist. Just because a book is a part of the school curriculum does not mean that it is “boring.” In fact, most of the books that students read in school are some of the most well-known and famous books of all time. I think that it is important for students to understand that although recreational reading offers more freedom of choice, it seems as though school reading opens the door to new ideas and potential interests! 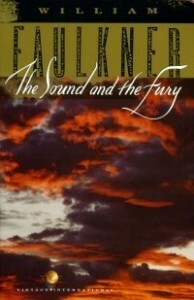 For example, this year in AP/IB English, I read the renowned novel The Sound and the Fury by William Faulkner. This was a story about the tragic decline of a once very affluent family told through multiple different perspectives and concepts of time. After reading the book and writing an essay on it I realized that I had learned so much about how an author can use both a literal and thematic lens of perspective to convey a deeper, more profound message about the work. I also had the opportunity to read Einstein’s Dreams as a part of the English curriculum. Written by Alan Lightman, Einstein’s Dreams was an intriguing and creative story about different universes, each revolving around a unique concept of time. If students can think of reading school books as an opportunity to become more well-rounded readers and scholars, then they can reduce the overwhelming feelings that are associated with school reading.